Two sweet sisters. One with fair hair and blue eyes and one with dark hair and deep brown eyes. Such fun. And as one might guess, it was nasty hot for these photos. I dream of November and beautiful weather. For some reason, I really love the one of the two of them. I can think of so many possible captions. I love the hand offered by the big sister and the benevolent smile. I love the thoughtful look on the little sister's face. 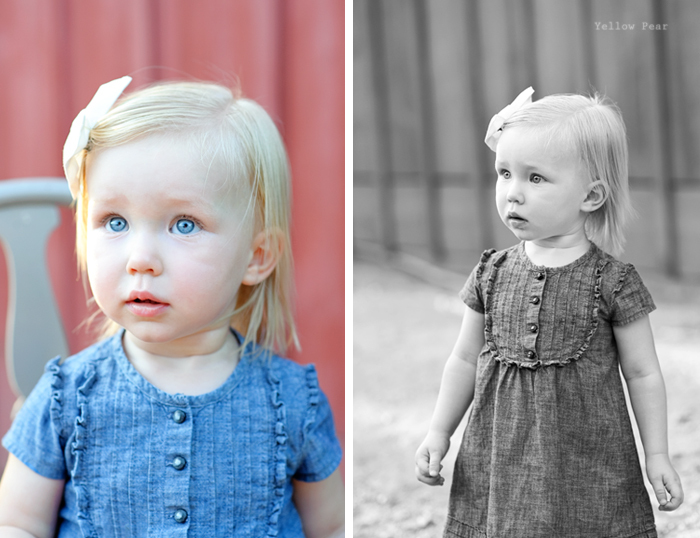 Beautiful little girls! 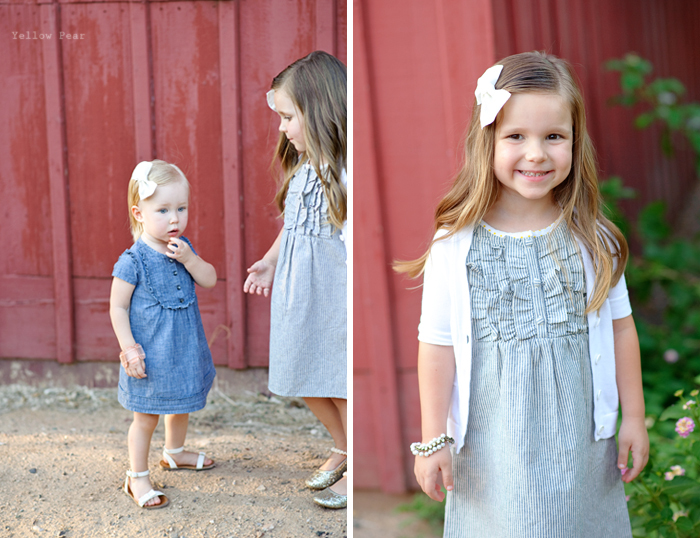 And their outfits are adorable! 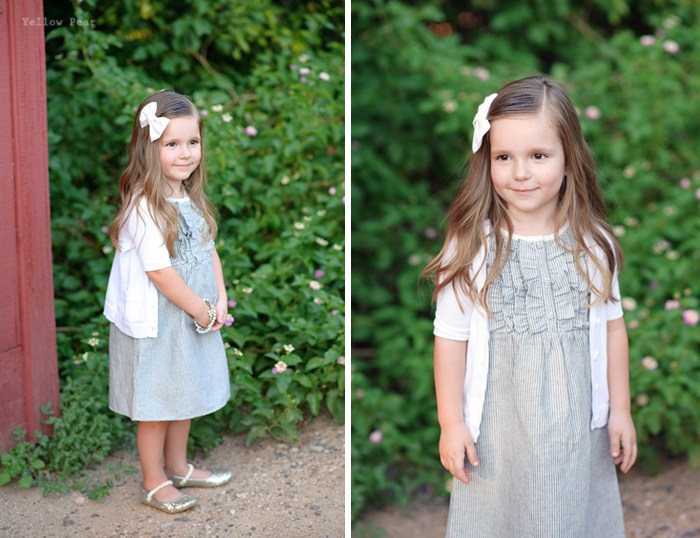 Cute little girls and cute pictures!